Clearly a case of desire being MUCH bigger than time! 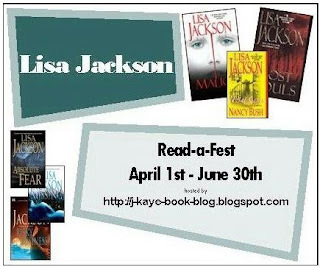 Plus, instead of using the wonderful listing J.Kaye had up of LJ's books, and starting in April. I waited and grabbed a book off my shelf. Well, no wonder I felt like I had been dropped in the middle! The book I picked up is #6 in the series! I started, but did not finish, Lost Souls. I will be putting it aside but am looking forward to starting the series from the beginning. I totally agree. LOST SOULS isn't the book to start with. That's what I did during this challenge was read the first two. Because I didn't get to read all the books I wanted, I plan on doing a l-o-n-g LJ reading challenge. Maybe you'd like to join? I'll blog about it in a few weeks. Yes. As long as it doesn't end in 2009! I'm looking forward to reading the details.